Wherever you wander each summer – through the heart of our World Heritage city – you’ll find buskers entertaining the crowds. Ok if you are just passing by maybe but for a lot of inner-city residents and business people sometimes the music can be just too much to face. It’s not helped by the fact that many street musicians use amplifiers to get their message across. After all they are not playing or singing for fun. The whole purpose behind their public entertaining is getting some financial appreciation with money thrown in the box or hat, and making sure you are being heard is obviously important. Buskers appear in all world cultures and have done for centuries. Here’s a clip of what Wikipedia has to say on the subject. There have been performances in public places for gratuities in every major culture in the world, dating back to antiquity. This art form was the most common means of employment for entertainers before the advent of recording and personal electronics. Prior to that, a person had to produce any music or entertainment, save for a few mechanical devices such as the barrel organ, the music box, and the piano roll. Organ grinders were commonly found busking in the old days. 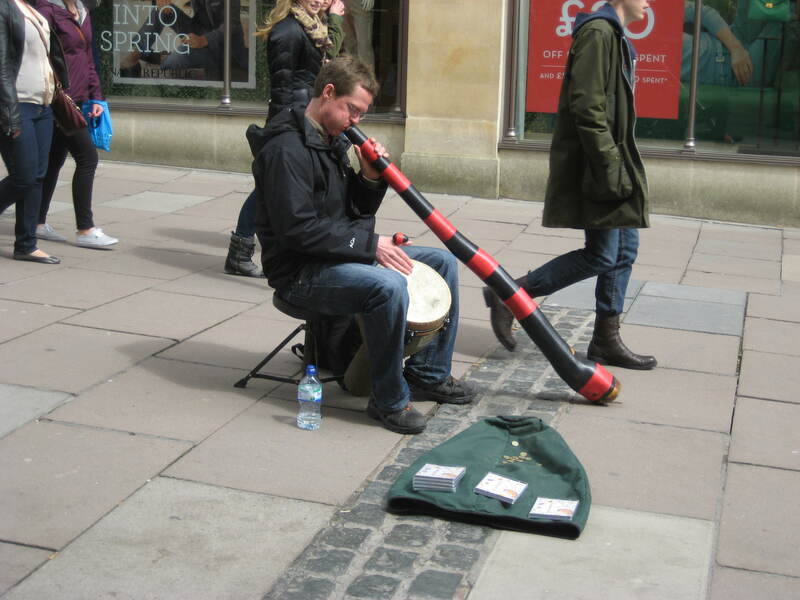 A busker and a didgeridoo! It is all fascinating stuff but is modern amplification one step too far? What do people think about enforcing a more rigid period of time each day after which music must stop? 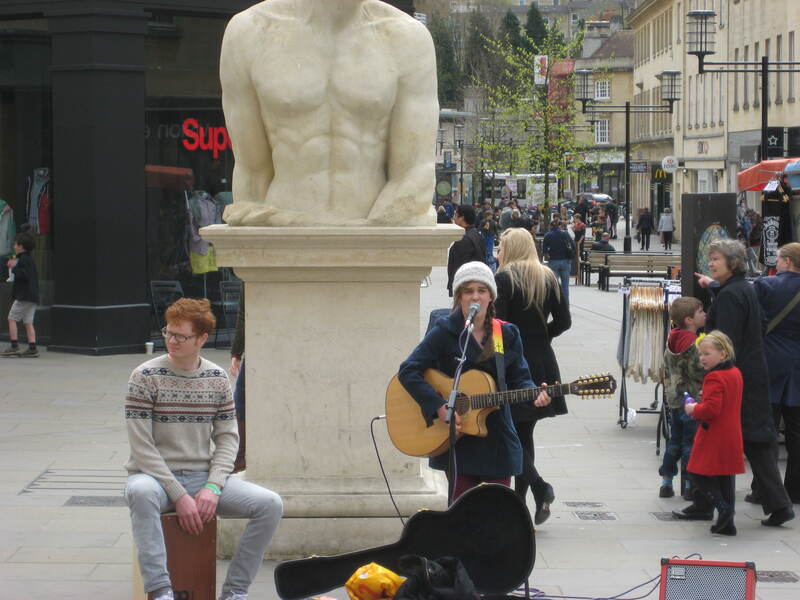 People can give their views on busking by sending an email to environmental_pro tection@bathnes.gov.uk or writing to Busking Code, Environmental Protection Team, Lewis House, Manvers Street, Bath BA1 1JG. Not sure whether the same Council body are responsible to all these advertising bikes blocking up cycle hubs but if you are a genuine cyclist concerned about the scanty provision of parking facilities, you could give it a try?